Ordered the other day. Loved the movie. Seen it or blind buy? Blind buy, but the trailer made it look awesome so very anxious to see it. Looks like this is the only announced steel to date for the movie. No, it shows in stock for me. 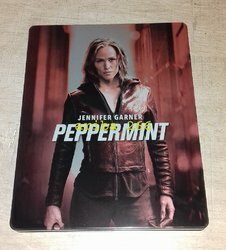 Is amazon.fr stil using cardboard mailers to ship their steelbooks? I believe it's the same for amazon all over the world. Either that or a bubble padded mailer. You have to understand. Amazon sells over a million different products. Nobody is going to say "Oh a movie! Better set that up in the system as special protected packaging for shipping!" Amazon UK and Amazon DE used to have excellent packaging for steelbooks. I'm sure many of us remember the "Frustration-free steelbook packages"
But for large retailers it's an optimization game for sure. The cost of packaging vs. the cost of refunds and replacements.